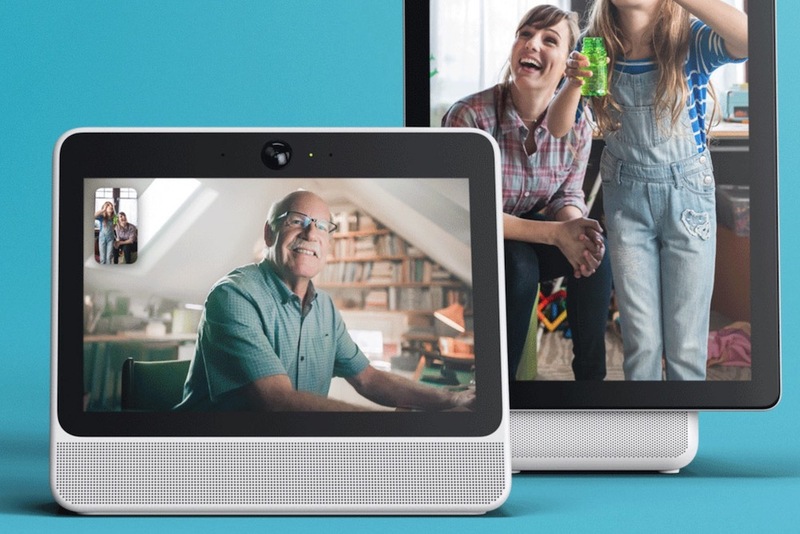 Today Facebook announced a new video chat camera device called Portal. The 10-inch Portal retails for $200, which is Facebook’s first consumer hardware device. And there is a larger 15.6-inch $350 version called Portal+, which can swivel horizontally and vertically. The Portal has a built-in smart speaker, a digital photo frame, and a video camera. Facebook was reportedly originally planning to introduce the Portal device at the F8 conference, but that time coincided shortly after CEO Mark Zuckerberg’s congressional hearings regarding the Cambridge Analytica scandal and election tampering. When you say “Portal, call John,” it will call John’s Portal or the Facebook Messenger app on his phone. You may be familiar with these commands if you use Google Home, Apple Siri, and Amazon Alexa. And the Portal device looks similar to Amazon’s Echo Show. “We want to remove people from feeling that they are on a call — to the feeling of just being together,” said Facebook VP Rafa Camargo via The Los Angeles Times. Interestingly, Facebook partnered with Amazon to create the device. Facebook Portal even has Amazon’s Alexa voice and built-in artificial intelligence to power the device. Aside from being part of Facebook’s ecosystem, what makes the Portal device unique is that it has a 12-megapixel camera built-in for sharper images. And it can identify the shape of people within a 140-degree field of view. Plus it can pan and zoom so that the person is always in the frame. This feature is known as Portal’s Smart Camera. Facebook emphasizes that the Portal was created with privacy in mind. For example, you can disable the camera and microphone with a single tap or you can block the camera lens with the camera cover provided. Facebook said it does not listen to, view, or keep the contents of your Portal video calls. And you cannot “drop in” like the Amazon Echo Show, which allows pre-approved friends to automatically connect to the recipient. You can also share music over chat and utilize augmented reality to add filters to your face. And there is an augmented reality storybook mode that adds animated effects to the chat screen as you read children’s stories. The Portal can also display images from Facebook like shared albums. And you can also fill the screen with information your Facebook friends such as birthday reminders. In terms of apps, the Portal supports Facebook Watch, Spotify, and Pandora. However, YouTube is not supported on the device. You can pre-order the Facebook Portal online now. And it is going to be available in select stores starting in November.